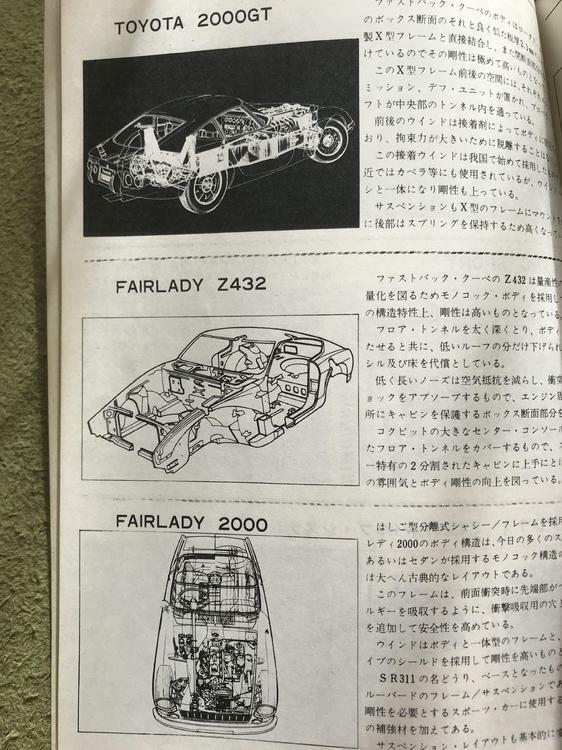 after 03/1973 , Fairlady Z series ( except Z432 ) has a new bigger air cleaner which has the vacuum operated valve with a temperature compensation . 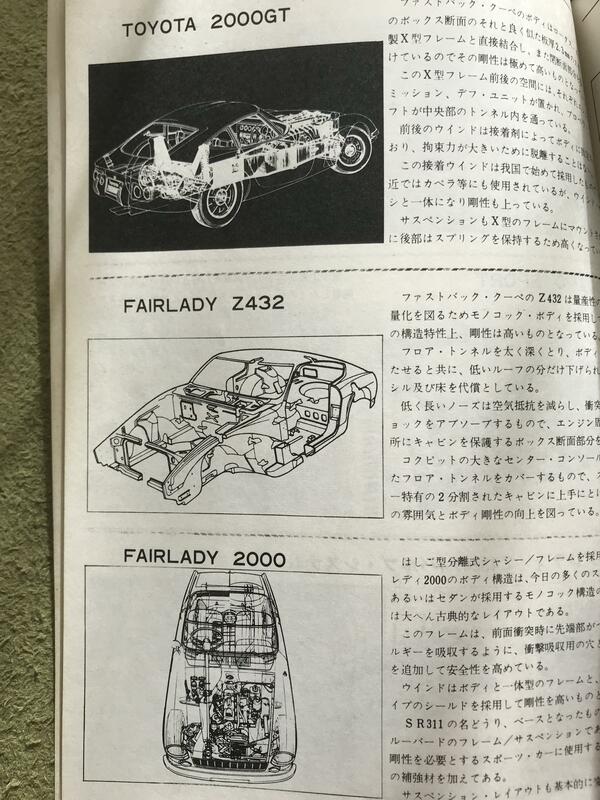 03/82 , Parts catalog Fairlady Z 1973 . 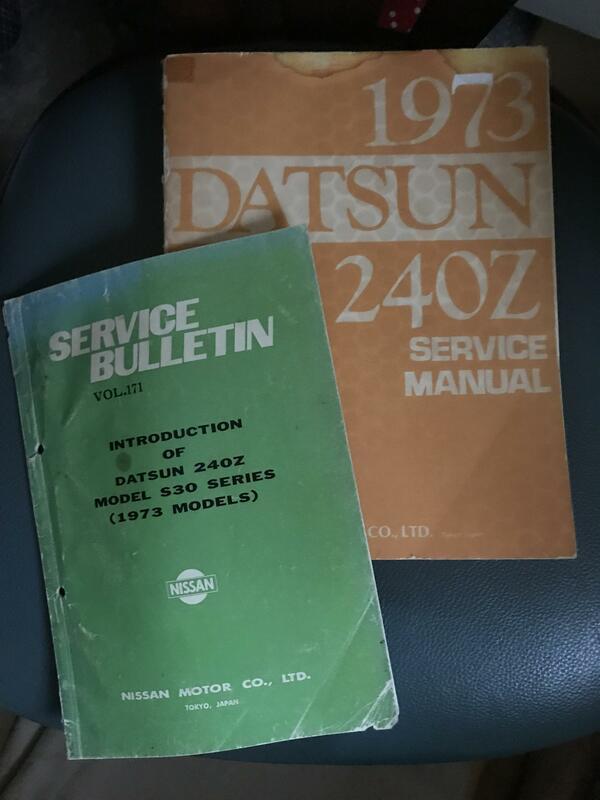 And I looked FSM and Service bulletin for 1973 240Z. Thanks Alan ! That is a great infomation. At Aug 1973 , UK and Europe got the most powerful S30 ever, L26 with 161BHP or something ? At that time, Z432 (160BHP) was dropped from the Nissan's line up. 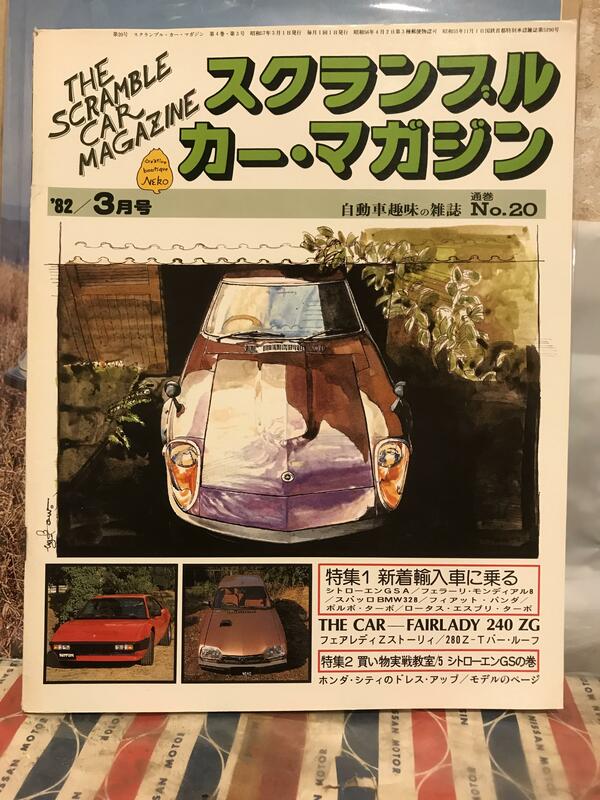 I have read an article of a Japanese magazine about 240Z europe model test ride , the journalist envied the europian customers so much. 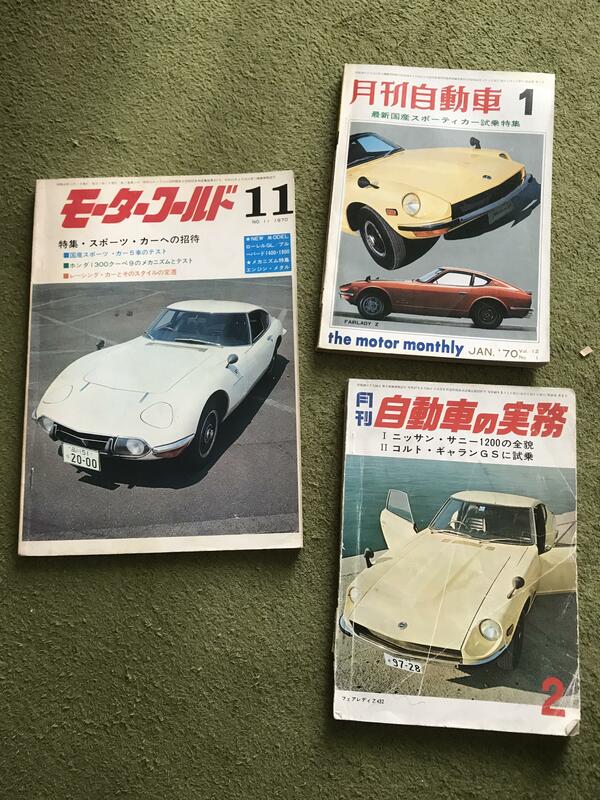 I found these picture , the metalic brown UK 260Z was on an auction 2016 , and the 110 red 240ZG was on a sale in Japan 2006. They are very useful to look at . 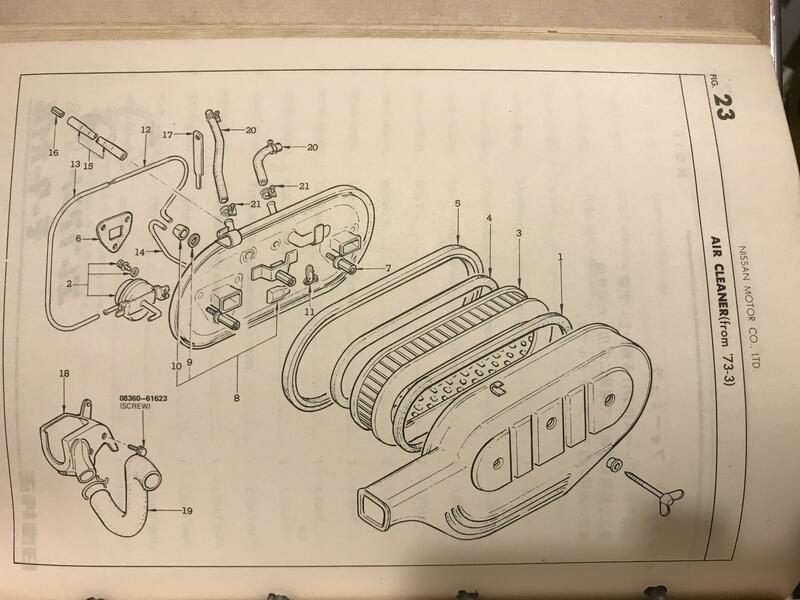 And for me, this type of air filer housing is better than the pre August 1973 air filter housing, as it has a separate channel inside (the bulbous bit below where the vacuum can is) which feeds the rear carb with air much more directly. Thanks Blue , and you speak Japanese ! Here are some duet with other marque , enjoy pictures. You have made me super envious with the type of cars you have been able to interact with. 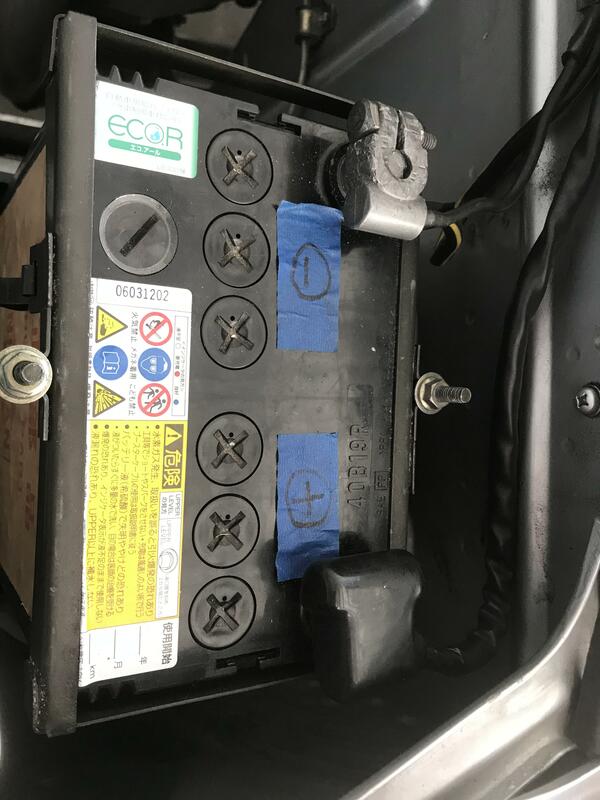 Thank you for sharing all of the information about your cars. Its been really interesting to see how functional the fender mirrors actually are, they appear much more functional than I ever expected.... I'll have to have a longer through this thread later. Amazing seeing another Toyota 2000GT, very much an ultimate dream car for me and by chance spoke to the lady who owns the only one in the UK earlier this week. Makes me want to get out to Japan even more to see the treasurers out there, I just wouldn't know where to start! 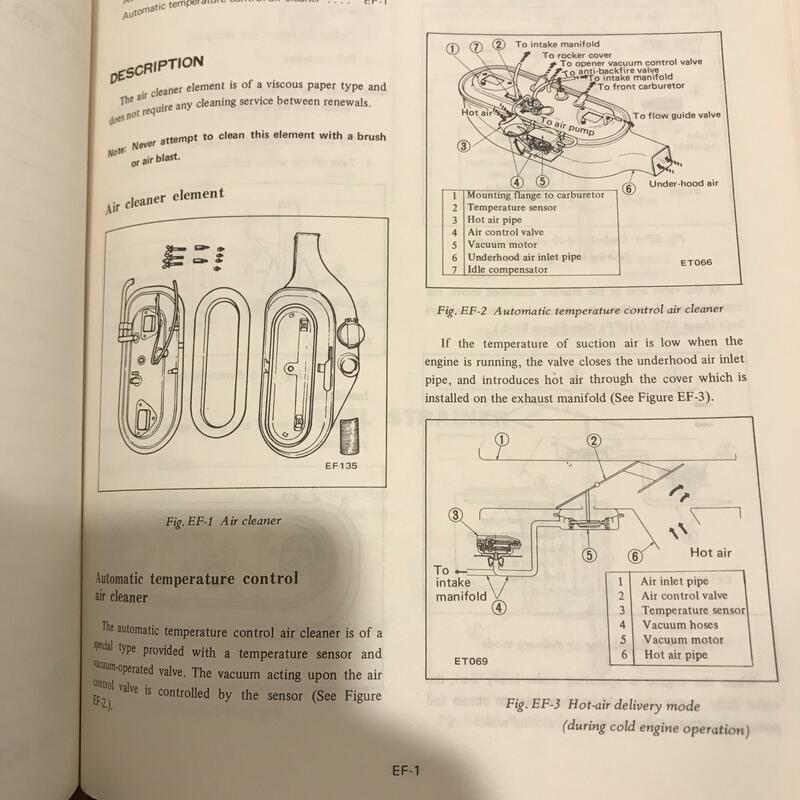 Hi Ian , thanks , I am now learning about the air inlet , but I did not know that , looking at the catalog did not tell it to me . I studied HMB 46 has many new features , one of them is a power jet when the throttle butterfly is wide open . Here is a 74 model year 260z 2+2 delivered to Australia. It's a bit of a time capsule so a good example of an original engine bay. Interestingly I don't see the charcoal canister. However my 75 2+2 did indeed have the charcoal canister. 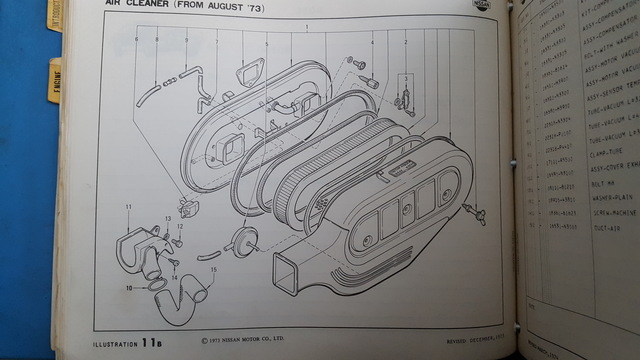 I can try and look in the HS30 parts manual for Australian/NZ to see when those emission items were introduced if you're interested? Toyota 2000GT in the UK , and a Lady , just reminds me James Bond and his secretary . Wow ! I soon will not be willing to drive my cars because road patrol agency spread solt everywhere especially in high way . I hate it every winter in Japan . Gavin , thanks, please let us know it ! And Australia and New Zealand got the most powerful engined S30 ever same as the UK and Europe in September 1973 ? Until the 1930s virtually every car had a structural frame, separate from its body. This construction design is known as body-on-frame ( 2000gt ). Over time, nearly all passenger cars have migrated to unibody construction ( S30 ), meaning their chassis and bodywork have been integrated into one another. 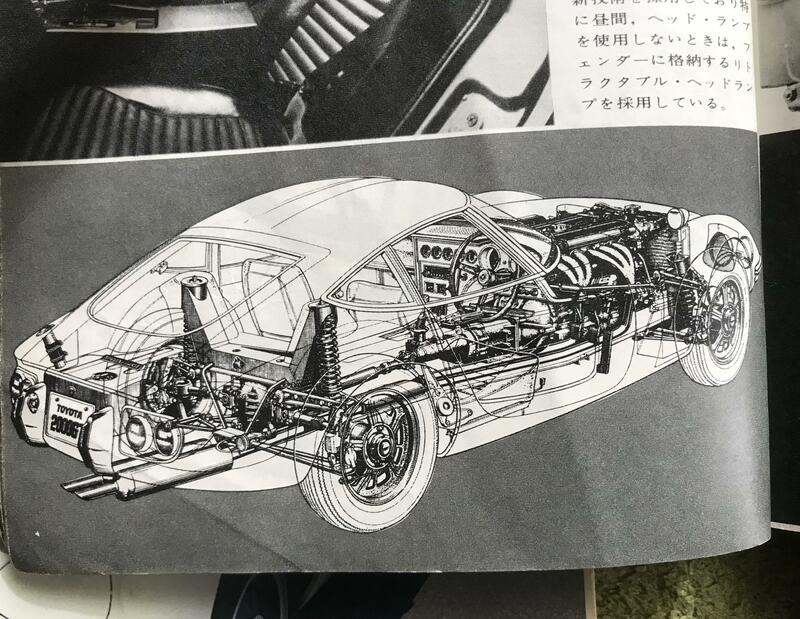 Toyota's MF10 2000GT was never envisioned as a mass-market product, so the high costs of press tooling for a unitary body were out of the question. 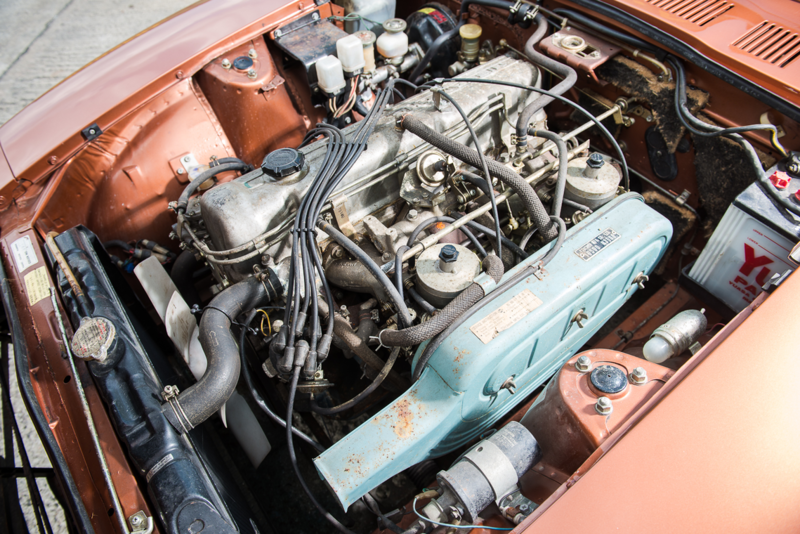 Instead, a relatively modern and fairly sophisticated backbone chassis was chosen - similar to that in the Lotus Type 26 Elan, which debuted in 1962. 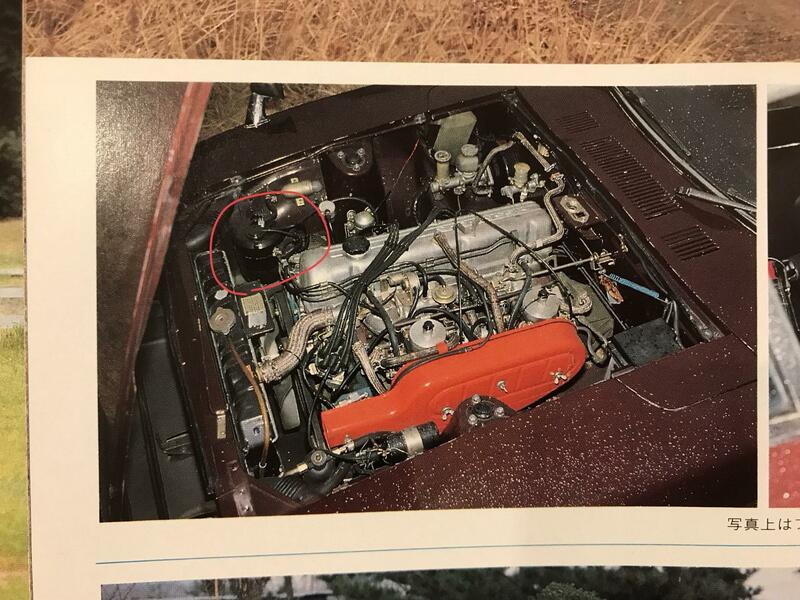 I wouldn't say that the S30-series Z unibody/unitary body was "way ahead of its time". In principle the unit body idea was established and in use in the 1930s, but if we are looking at relatively inexpensive sports/GT cars then the MGB, which debuted in 1962, is a good example of prior use a good 8 years before the Z.
I think the air box, the much maligned HMB46 carbs and the different intake manifold (N42) added a good bit to the extra bhp of the European 260Z, and not just down to extra cc's over the 240Z's L24. 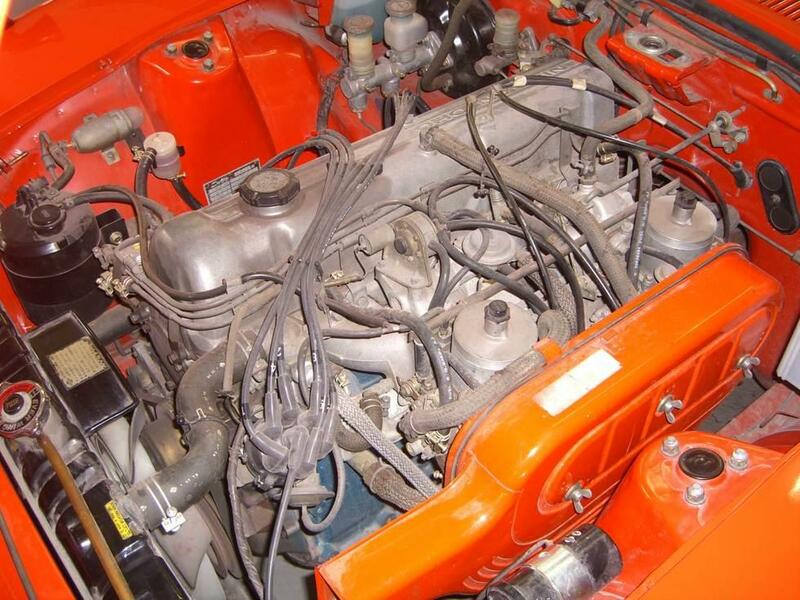 The flat top HMB46 carbs are very misunderstood. Nobody takes the time to properly understand their operation and therefore people think ditching them is the solution. Unfortunately the internet being want it is, it means once a rumour and story takes hold it gets repeated often enough that people believe it's the truth. Hence many have been thrown out over the years unnecessarily..sad really. I think S30 was modern in many ways , unibody is one of them . 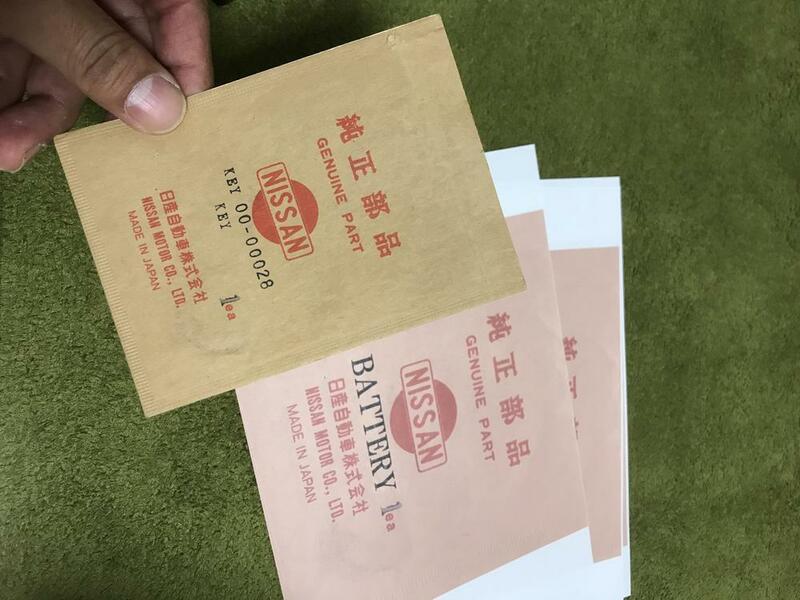 Thanks Alan , yes S30 was a huge quantity model , Nissan Shatai reached 6000 S30 cars per month in April 1972 ! While Toyota 2000 GT was 30 cars per month , big difference. 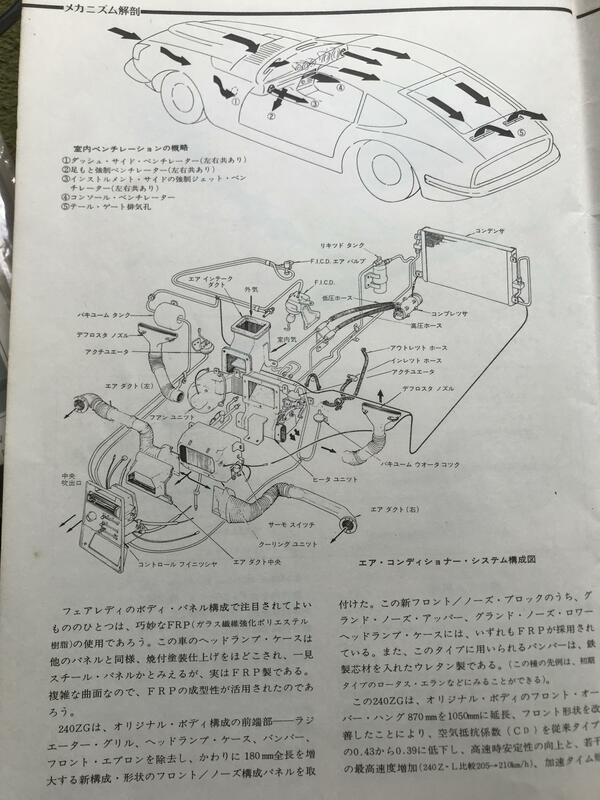 Unibody is good for less weight, for example Z432 is 1040 kg , ( S20 Engine 199kg ) , Toyota 2000GT 1145 kg ( 3M Engine 209 kg ) . 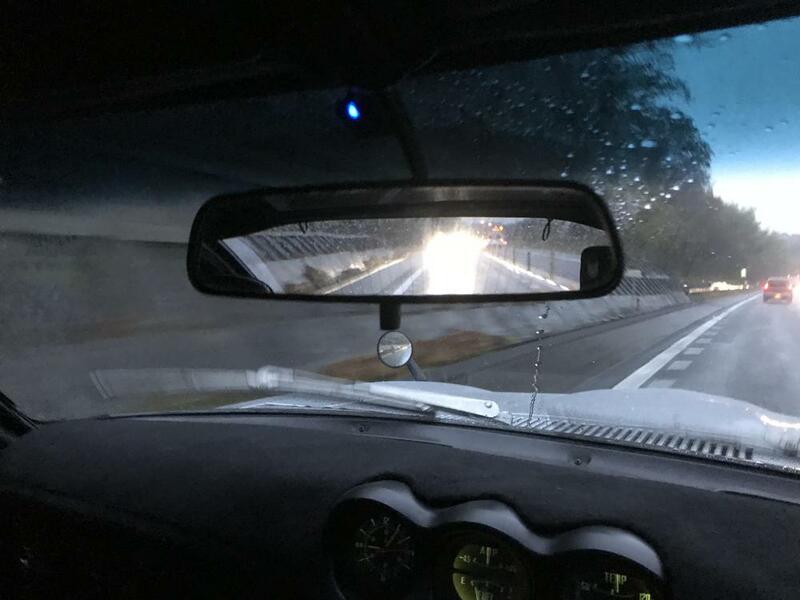 Oh , this Toyota 2000GT is an automatic, "TOYO GLIDE" model. And an airconditioning blowere has to sit in the middle of the both seats ! 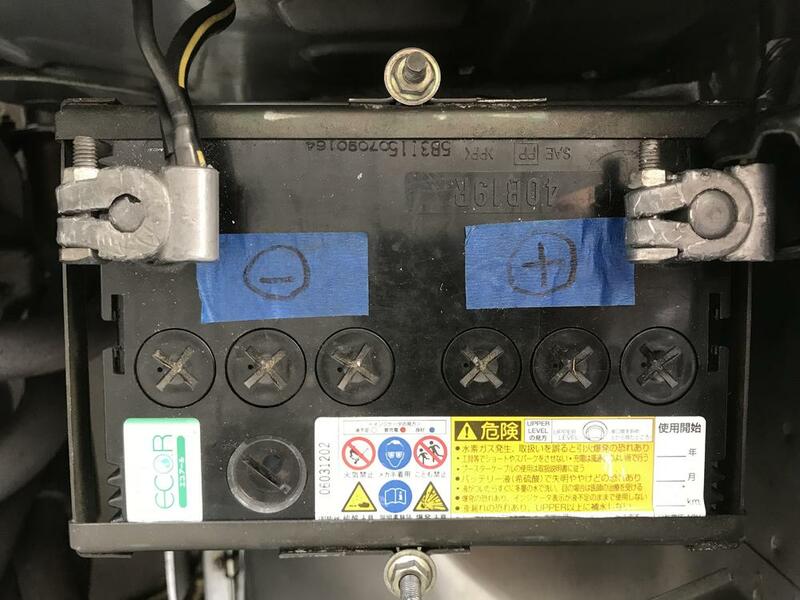 No space in a dashboard, while S30 (Fairlady Z /Fairlady 240Z series except Z432 and Z432-R) has an in-dash airconditioning system assembled in a factory. 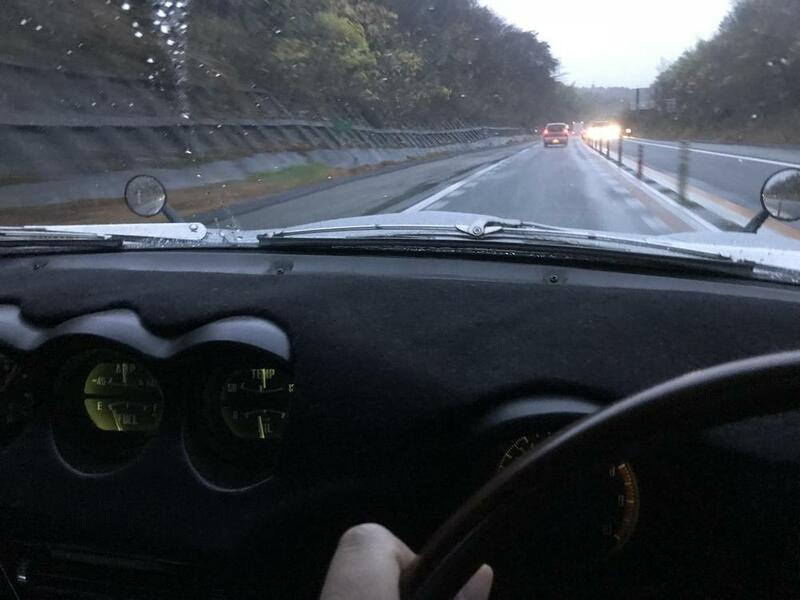 Did you notice Toyota 2000GT has the same seat belts which manufactured by TAKATA , I saw it in some Honda models too. Hi Ian and Gavin , thanks for your input , this place ( classiczcars.com ) changed my image “ flat top “ . I just don’t know what it is like , I had just followed the rumors without having experience with it . I have a friend whose car has flat tops and really mint condition, I must see it and feel it . 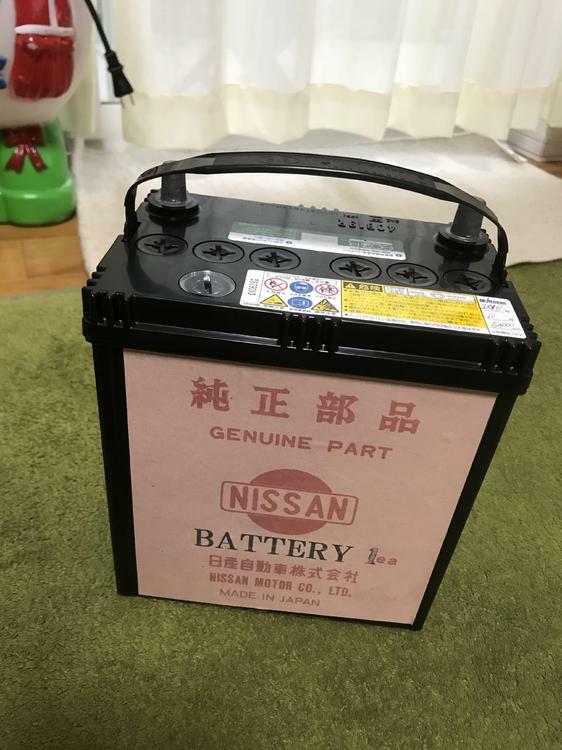 Hi , I replaced a battery of my Z432 . 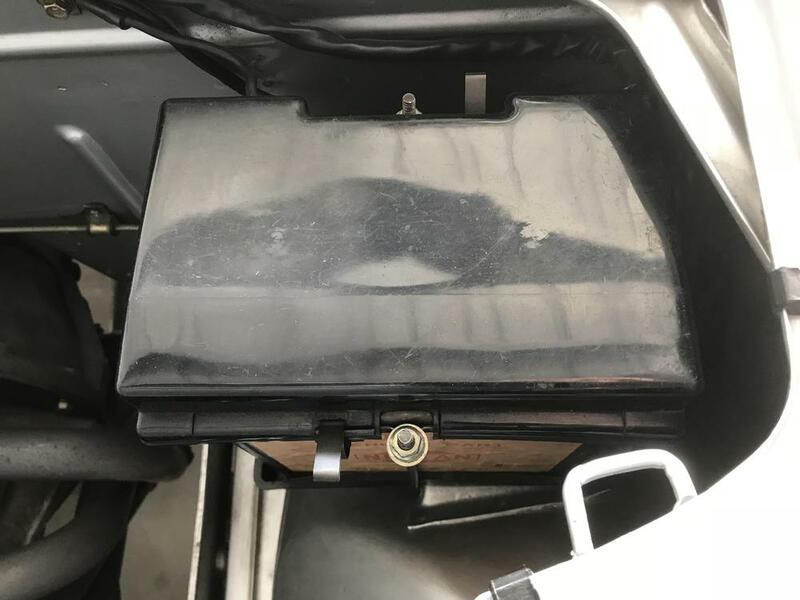 This is small one , so associated parts such as a tray /a holder / a cap everything is different from the export S30 cars . The negative terminal is smaller , so you need to have a specific cable for this Japanese S30 . 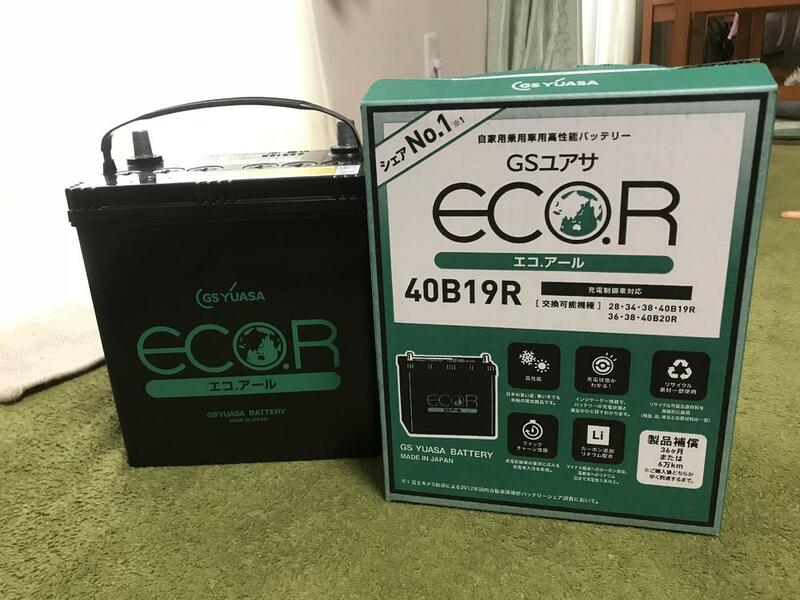 However , there was an optional item “ battery for cold erea “ in Japan , in that case you will have the same big battery as an export S30 . To make a label , I used a paper bag for the key as a donor, then modified it to have some authentic look . 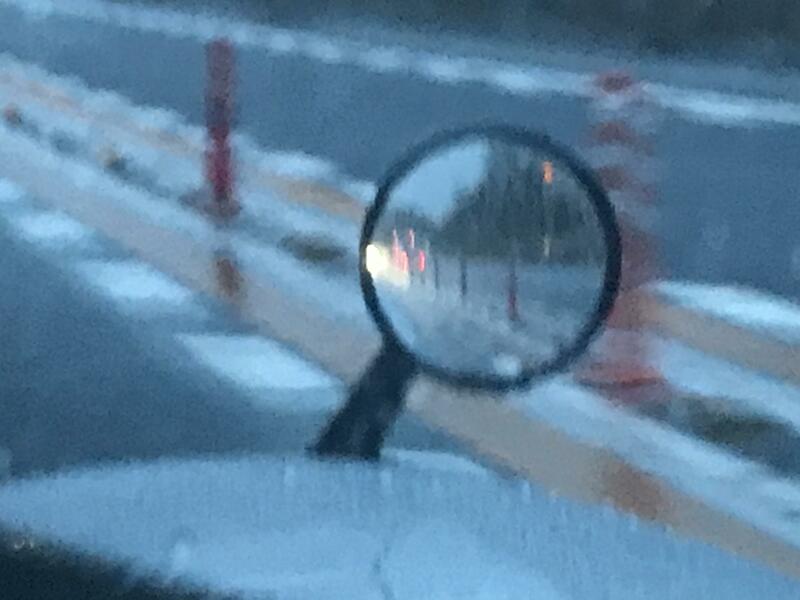 About the fender mirrors, not bad in the rain . 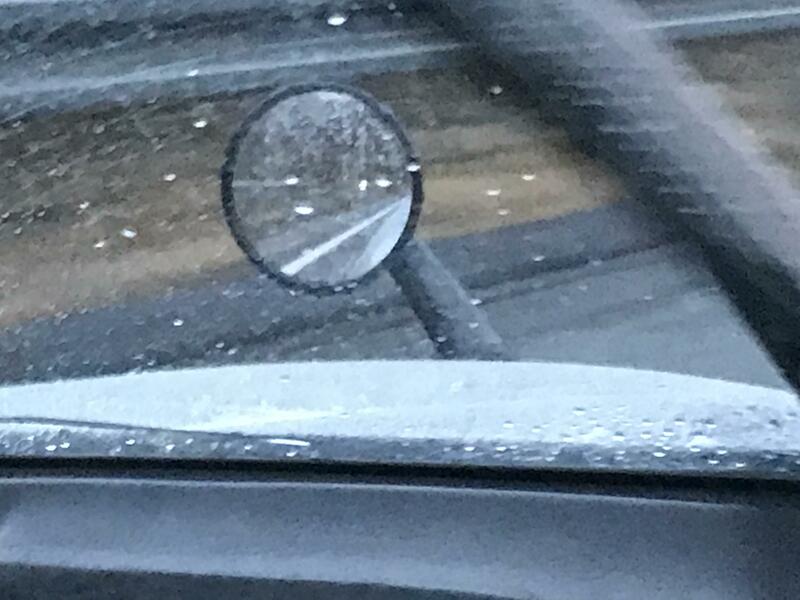 You're slowly convincing me that OEM fender mirrors are actually very functional and a great idea.... I mean I already know that they look great! Do they have any downfalls? The first three could equally apply to the stock Mirror(s) on the HLS30U. The fourth wasn't and isn't an issue for owners of Japanese market models as the factory didn't charge extra for them. I hadn't thought of undoing them from underneath! I assumed the mud guard on my 280 would be an issue but not so much on the 240's. 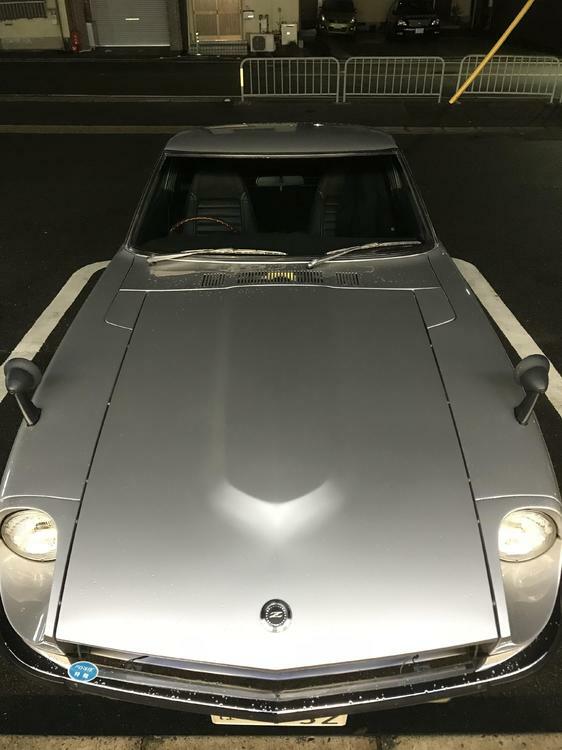 Don't get me wrong, I am in love with the look but will probably stay stock location on my build as my 280 restomod doesn't flow with the Fairlady feeling that much. I love to see them on the early cars though!